MANILA – – “A brazen intrigue of the vilest kind,” is how National Democratic Front of the Philippines (NDFP) chief political consultant Jose Maria Sison described the allegation of Chief Superintendent Mario Espino, regional director of the Philippine National Police-Cagayan Valley. Espino blamed the murder of NDFP consultant Randy Felix Malayao to the New People’s Army (NPA). In a report, Espino said the killing may have something to do with his being a former NPA commander and demoralization among the revolutionary forces. 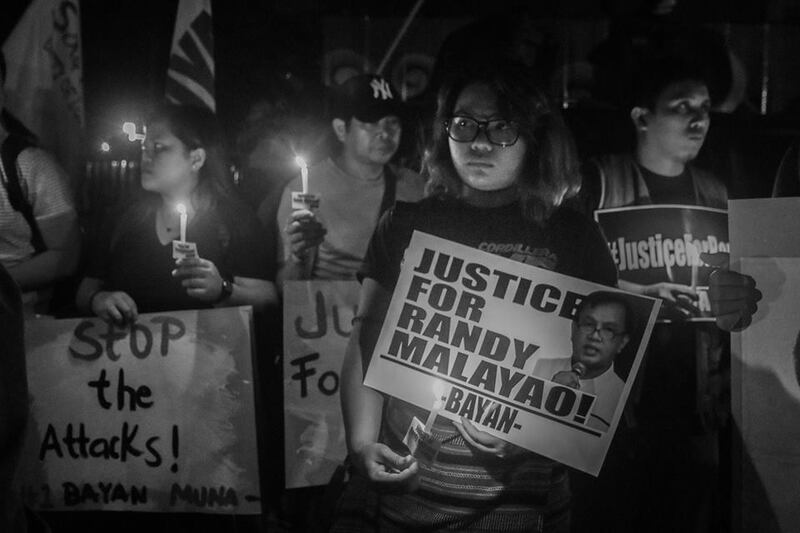 “It has two malicious and evil purposes: 1) to cover up the criminal responsibility of the murdering agents of the Duterte regime and 2) set the stage for further murders of suspected revolutionaries, peace and human rights advocates and critics by the death squads of the Duterte regime in the Philippine National Police and the Armed Forces of the Philippines,” Sison said in a post in his social media account. Political prisoners from Camp Bagong Diwa meanwhile said Malayao’s murder is the consequence of Duterte’s order to the police and military to kill suspected members of the Communist Party of the Philippines and the NPA. They condemned the killing of Malayao. They also criticized the Dutere administration’s disregard of the Joint Agreement for Safety and Immunity Guarantees (Jasig) signed by the both NDFP and Government of the Republic of the Philippines. Malayao was also a former political prisoner. He was abducted, tortured, and charged with trumped-up charges in 2008 and was released in 2012. Karapatan secretary general Cristina Palabay meanwhile said such allegations are “worn out lines” used by the military during the administration of President Gloria Macapagal Arroyo. “A theory so unbelievable that even United Nations Rapporteur Philip Alston has deemed such excuses as unacceptable,” said Palabay. She said linking the NPA to the killing of Malayao is only to muddle the reality that it was state perpetrated. “The PNP seems disinterested in a thorough investigation, as it prefers to quickly dismiss the case. At best, it is indicative of the typical dishonest, misleading and deceitful PNP who spins the most ludicrous of stories; at worst, it is a defense mechanism to protect the real perpetrators by laying the blame elsewhere,” Palabay said. Malayao was shot by a lone gunman while asleep on Jan. 30 at 2:30 a.m. inside a bus he was riding going to Isabela, his home town.